The presentation will cover a host of topics as they relate to side mounted FM antennas, FM multiuser panel antennas, and the filter networks needed to combine the individual FM stations onto these custom antennas. Topics include: antenna input power and output power; how to calculate the transmission line loss of the feed line running up your tower; antenna gain and antenna radiation pattern considerations; calculation of the FM stations ERP; and theory of operation of side mounted FM antenna arrays. Tom Silliman, PE, is president of Electronics Research, Inc., in Evansville, Indiana. Tom's engineering career started when he was 14 years old. He holds a Master of Electrical Engineering from Cornell University. He played Lacrosse at Cornell, both freshman and varsity. Tom designed the ERI Roto-Tiller side mount antenna, the most used FM antenna in the United States in 1975. He is certified in rescue and climbing safety as well as a world-class water kayaker and a certified Indiana Master Gardener. The RF 201 series, like all new SBE webinars presented in 2018, are included at no additional cost for members who renew or join using the $175 SBE MemberPlus membership option. 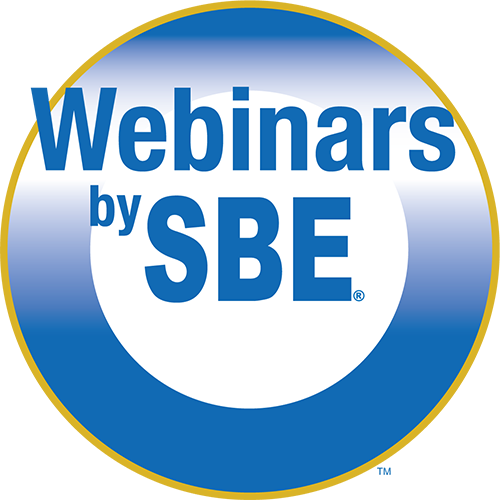 You get all RF 201 modules, plus access to all archived SBE webinars and any new live webinars SBE presents through March 31, 2019, all for no extra cost. Members can renew and newcomers may join online at the SBE website using the SBE MemberPlus option.